Acupuncture is one of the most widely recognized and successful methods of alternative treatment in the world. Its effectiveness in treating a wide variety of disorders has been clinically proven by many distinguished researchers. Not only is it safe, but it does not cause any of the toxic side effects associated with traditional medicines. As someone who has practiced acupuncture for more than two decades, I have seen a large variety of patients suffering from an even greater variety of illnesses, many of which cannot be effectively treated with traditional medical therapies. While I cannot claim that all of the cases I have seen over these years have been successful, I do believe that I have helped a great number of people achieve a healthier, higher quality lifestyle. These people, grateful that their ailments have been alleviated without any side effects, have graciously written testimonials found throughout our website. 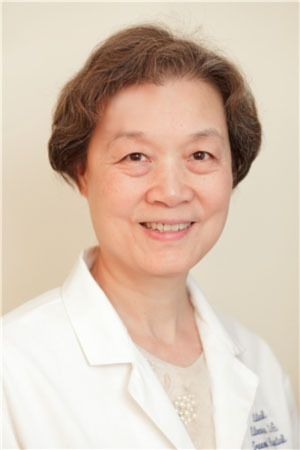 I share with you some of their testimonials in hopes that they will enable you to make an informed and prudent decision about your health and to help you see why we are the best acupuncturists in New York City. The Midtown office just underwent a total renovation. We have state-of-the-art equipment like Oakworks spa beds to make your acupuncture experience even more enjoyable. To make an appointment, please call (212) 974-2880 during business hours. Active Acupuncture welcomes Acupuncturist Jessica Wong. Click here to learn more about Jessica. Our generous patients have sent us several new testimonials which have been posted in the infertility section and other sections around the site. We hope their stories will be a source of courage and inspiration for you. We have updated our infertility Q&A to include answers to detailed questions about our fertility treatments. We have written about our experiences with the most common causes of infertility amongst our patients, including high FSH, poor egg quality, age (over 40), endometriosis, blocked fallopian tube, thin uterine lining, ovarian cyst, and PCOS. Additionally, we have updated information for those who are interested in receiving acupuncture in conjunction with IVF and IUI. We have also answered some questions about how acupuncture can relieve the side-effects of certain infertility drugs such as Clomid, Fertinex, Lupron, and others. Lastly, we addressed how herbs can be used in treating infertility. Researchers from the University of Maryland School of Medicine have found evidence that acupuncture before IVF increases success rates by 65 percent. We have compiled some of the questions we have received through email and from our patients on acupuncture for infertility. They have been posted on our Acupuncture for Infertility page. If you have a new question, please feel free to email questions@activeacupuncture.com. New research articles and information about the effectiveness of acupuncture for infertility have been added to the infertility page. We have further updated our Women's Health section with a new sub-section for the treatment of menopause. We also continue to update all of our pages with new patient testimonials and research updates. We have updated our infertility and allergy sections with new testimonials and research. If you have any questions or would like more information please do not hesitate to contact us. New patient testimonials have been added to the infertility page. We have compiled some of the questions we have received through email and from our patients on acupuncture for infertility. They have been posted on our Acupuncture for Infertility page. If you have a new question, please feel free to email questions@activeacupuncture.com . Although acupuncture has been widely practiced in New York for decades, many New Yorkers still have many unanswered questions about it. We plan on publishing a comphrehensive Question and Answer article in the near future. If you have a question that you would like answered, simply email it to questions@activeacupuncture.com . We hope to hear from you! Acupuncture is very effective in regulating and balancing the immune system, so the results of the aforementioned study is not surprising to us. We have treated a large number of people with asthma successfully and we believe that as the scale of acupuncture studies increase, even more dramatic results will be elucidated. You can read more about our experiences with asthma on our Acupuncture for Asthma webpage. Acupuncture News - New Website! As you can see, we have changed the look and feel of our website. We want to make it easier for you to find information and to provide fresher, more relevant content. However, our goal is still the same: to serve the New York City area with high quality acupuncture and care. We hope that ActiveAcupuncture.com becomes not only a website about our acupuncture practice in Manhattan, but also an informative and insightful site that will help spread acupuncture throughout the world. To that end, we will update this page on a regular basis to bring you the latest acupuncture news, fascinating stories from our many years of practice, and everything in between. So check back often! 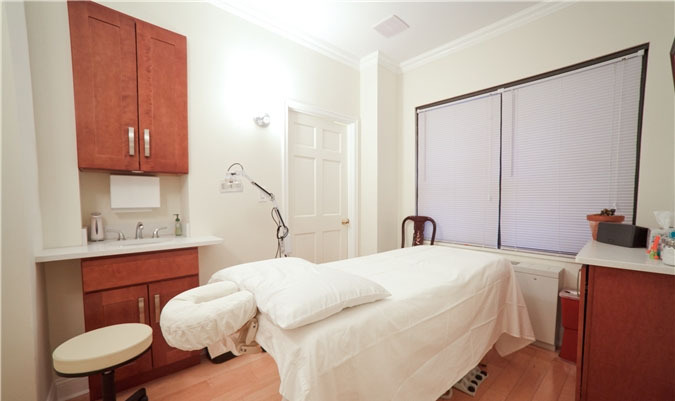 We aim to be not only a good acupuncture clinic, but the best acupuncture clinic in NYC. We aim to be not only good acupuncturists, but the best acupuncturists in New York. If you have any suggestions for any aspect of the website please share it with our webmaster by emailing him at webmaster@activeacupuncture.com. Contact us if you would like to inquire about treatment for a disorder not listed here. We continually update our website with detailed information about our commonly treated illnesses.